At A‑1 Overhead Door Systems, customer service is our priority. By including us in your project, we will make sure you get exactly what you are looking for. Take a look at our image gallery where you can see our wide range of models, colors and accessories. You will be sure to find a style you love, without compromising on quality and efficiency. 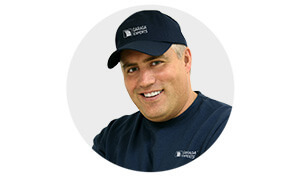 Our team will gladly assist you in making the right choice for your specific garage door needs. We invite you to complete a quotation form so that you have more complete information prior to making a decision. Feel free to contact us regarding any questions you may have; we hope to see you soon! A garage door opener is an important part of your investment. It is the heart of your garage door mechanism, and must be selected carefully. At A‑1 Overhead Door Systems, we have made it easier for you by carrying the most reliable brand on the market, LiftMaster. This brand of garage door opener will surely satisfy your needs. Equipped with a powerful motor, it is robust and long-lasting to provide a steady performance over the years. Renowned for their safety, LiftMaster garage door openers are made from only the strongest components. You can learn about the different features and types of garage door openers in our door opener section. Just like our doors, our openers are suitable for various applications including residential, agricultural, commercial and industrial, depending on the model. Whether you need to replace a part, emergency repair, or fix your garage door opener, we can be there quickly and find a solution for you. Our team of experts always has the necessary springs, cables or weather seals in stock to fix any brand of garage door or door opener, 24 hours a day. At A‑1 Overhead Door Systems, we do more than just installation. If you are starting a new project or want to change your existing garage door, we ensure you get safe, quick, and reliable service. After installing your garage door, our team will give you a quick tutorial to show you everything you need to know to fully understand and enjoy your new purchase. Whether it is safety related or simply changing the batteries of your controller, we are there to help you! Located in Leominster, we cover North Central Massachusetts, including Fitchburg, Westminster, Sterling, Bolton, Harvard, Concord, Acton and Maynard just to name a few. We look forward to be a part of your project!